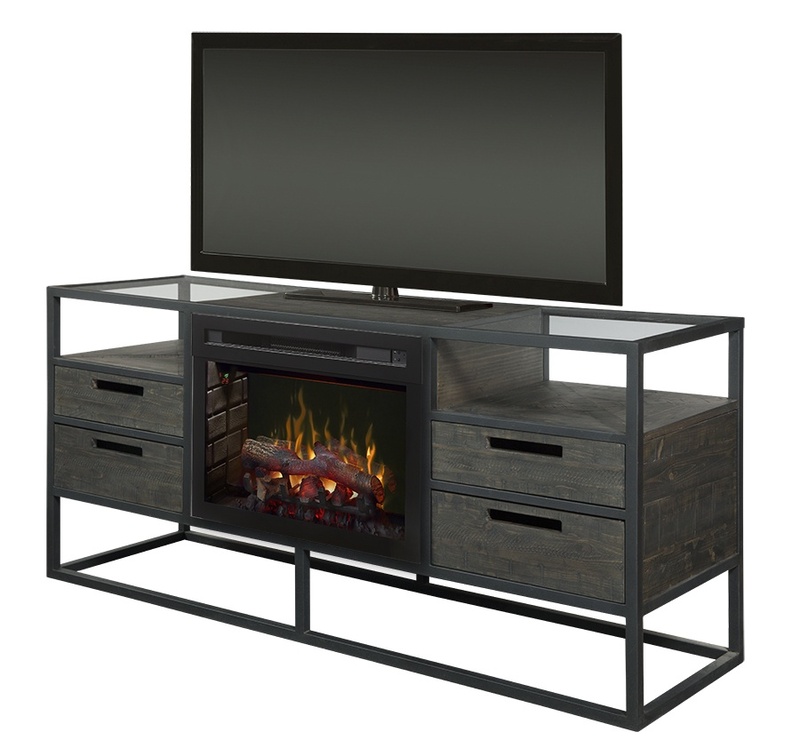 Effortlessly blending the best of wood, steel and glass, the Ivan Electric Fireplace Television Stand is completely at home in eclectic and modern settings. The magnificent 26” Dimplex Electric Fireplace is flanked by a combination of open storage and box drawers with cut-out pulls. Want to change the atmosphere of the room? Place more of your favorites on display by swapping out the fireplace with the included center shelf to continue the storage theme. Supporting flat screen televisions up to 65”, the fully assembled Ivan is finished in a deep Nevada Brown that contrasts the black steel framing and makes it the perfect addition to your industrial living space.